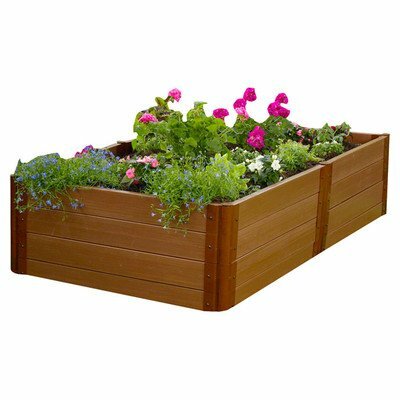 Frame It All RVG-REC3 Year round, beautiful 'frame it all' 4' x 8' rectangle 18" high raised garden beds provides added soil depth for a bountiful crop of healthy vegetables and exceptional floral displays, simple to maintain and keep moist. Features: -Raised garden. -Contains: 3 anchor joint 2-packs, 6 stacking joint 2-packs and 18 composite plastic timbers. -Eco-friendly - made from recycled plastic. -Provides a deeper topsoil layer for poor soil conditions. -Adjusts easily to a variety of heights, shapes and sizes. -Improves drainage.